Our family has been making Cabernet Franc since 1978, the longest-running program in North America. Your unique wine is composed of grapes sourced from the Kirkham Estate Vineyard in the St. Helena nested appellation. The grapes were gently de-stemmed and cold soaked for four days, then went through 14 days of primary fermentation before malolactic fermentation. Aged 30 months in Sylvain French oak barrels, your wine’s notes of violets, bergamot and the variety’s mintiness will leave you reaching for another glass. I've been making wine in Napa Valley for more than 40 years and have been involved since 1975 at Casa Nuestra, first as consulting winemaker, and for the last eight years as winemaker. 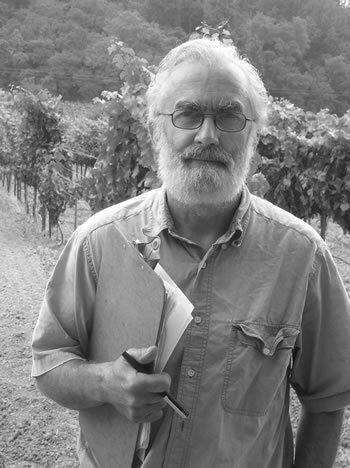 When my friend, Gene Kirkham, purchased the vineyards here, it was clear that the place matched one of my passions: working with traditional, but now out-of-the-ordinary Napa Valley grape varietals, as opposed to Cabernet Sauvignon and Chardonnay. As one would expect after five decades making wine, my career has seen me involved with many wineries, including The Hess Collection Winery, Charles Krug, Beringer and Dry Creek. I've also had the good fortune to make wine alongside good friends, including Gene at the Casa, Reg Oliver at El Molino and Randle Johnson at The Hess Collection Winery. For me the camaraderie, collegiality, friendships and the constant drive to make the current year's vintage the best ever have been worth more than any wage I have every received. My intention is to make wines of recognizable varietal character that are smooth and drinkable without waiting forever. I spend a lot of time in the dirt of the vineyard. It sounds trite to say that great wine begins in the vineyard, but there is no escaping the reality of that fact.